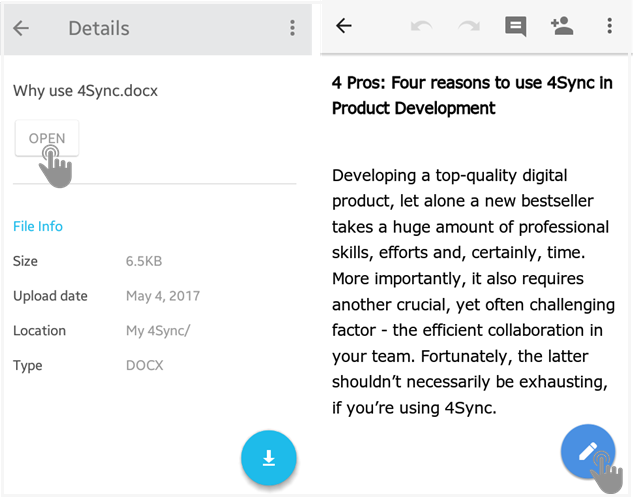 Latest functional improvements in 4Sync for Android! 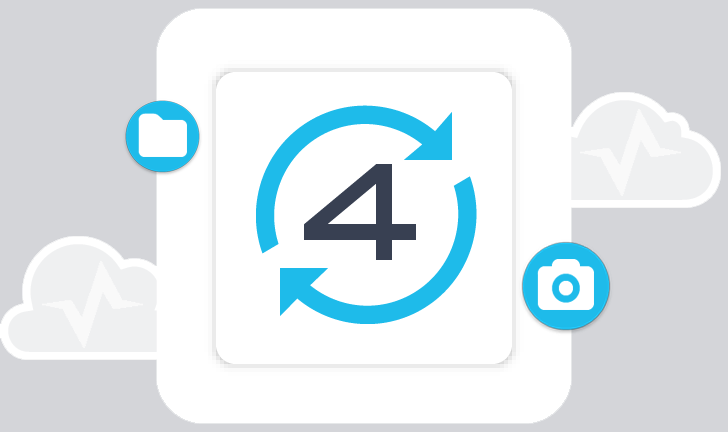 in the 4Sync app for Android devices! to both view the media and access the “File Operations” menu. 1. Tap “Open” on file preview. 2. Tap the “Pencil” button. 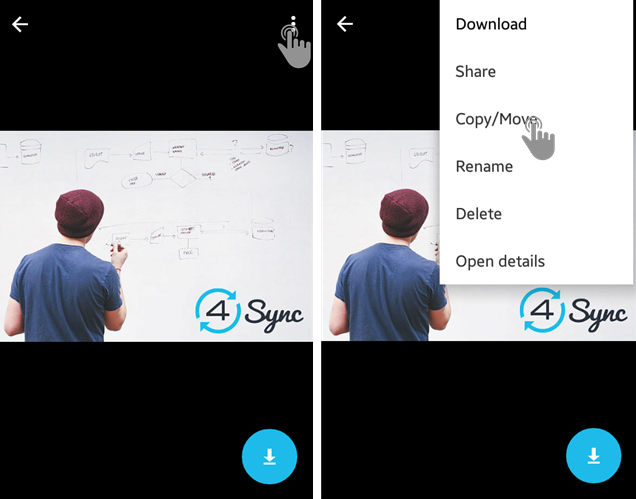 4Sync for Android from Google Play!